(CBS/AP) LOS ANGELES - It was the art of the steal. A 17th-century drawing by Rembrandt was snatched from a private art display at a Southern California luxury hotel while a curator was momentarily distracted, officials said Monday. The theft of the $250,000 sketch from the lobby of the Ritz-Carlton Hotel in the upscale seaside community of Marina del Rey happened around 10:30 p.m. Saturday night while someone who seemed interested in buying another piece held the curator's attention for a few minutes. "When the curator turned back to the Rembrandt, it was gone," Los Angeles County sheriff's spokesman Steve Whitmore said. It was not clear whether the person talking to the curator was connected to the theft, though Whitmore said a team of at least two people was involved. The sketch, called "The Judgment," was completed around 1655 and is signed on the back by the Dutch master. 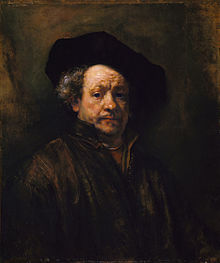 Rembrandt von Rijn is widely regarded as one of the finest painters in European art history and his worldwide name recognition has made his work a common target for thieves. "Rembrandt is a name that criminals know or should know," said Chris Marinello, executive director of the London-based Art Loss Register, an international database of stolen artworks. "When they come across one, they see dollar signs." Marinello said the theft was likely a crime of opportunity and not an operation carried at the command of a mysterious criminal with a private art collection, as is often depicted in movies. "Hollywood would love us to believe there are paintings being ordered stolen," he said. "We have yet to find that." He described the theft as well-executed, "but not executed well enough to get away with," adding that investigators had several strong leads and that detectives were looking at video surveillance from the hotel. The drawing was part of an exhibit at the hotel sponsored by the Linearis Institute based in the San Francisco Bay area community of Hercules. Marinello said the artist thieves most commonly target is Pablo Picasso because of the volume of the Spanish painter's work and his name recognition. In 1990, two criminals posing as police officers robbed the Isabella Stewart Gardner Museum during the St. Patrick's Day parade in Boston. Marinello said the works, which included Rembrandt's only seascape, had a combined worth of as much as $500,000. Those paintings are still missing. Anthony Amore, chief investigator at the museum and co-author of the book "Stealing Rembrandts," told the Los Angeles Times there have been 81 documented thefts of the artist's work in the past 100 years.